The situation in Yei remains unstable but despite this Malish and the team are doing an amazing job enabling the children to have daily lessons and at least one meal each day. Although currently Yei is relatively peaceful inflation is out of control meaning that the staff and families are finding it difficult to afford even one meal a day. As a charity we are helping where we can . Our latest venture is an underwear appeal for ladies and children. its impossible for the ladies to afford to purchase underwear for themselves or their children when they can hardly afford food.Click here for more information. 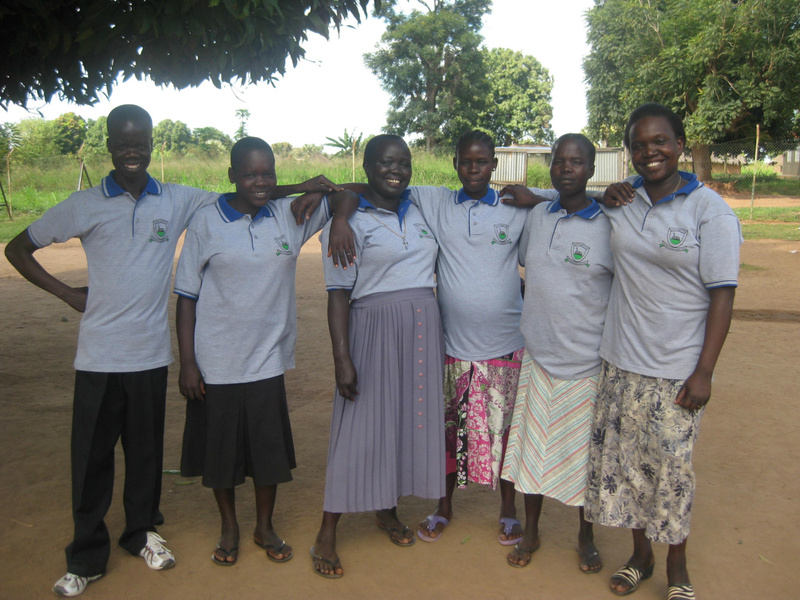 Despite the awful situation in Yei, six wonderful teachers continue to keep the Kindergarten open for the children . Malish sent me these photos this week. Its ispiriational that they are still giving these children an education and some normality despite everything. 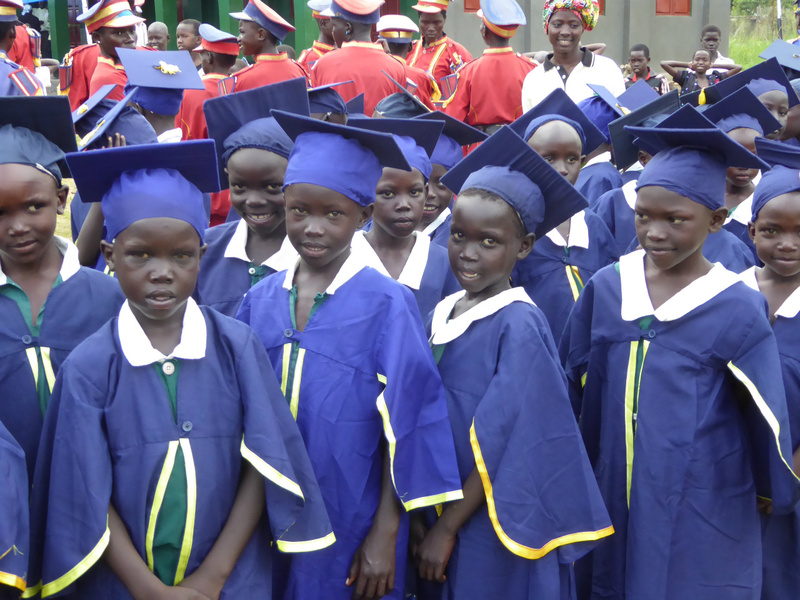 Immanuel Kindergarten was founded in the 1980s to serve the young children of Yei in South Sudan. 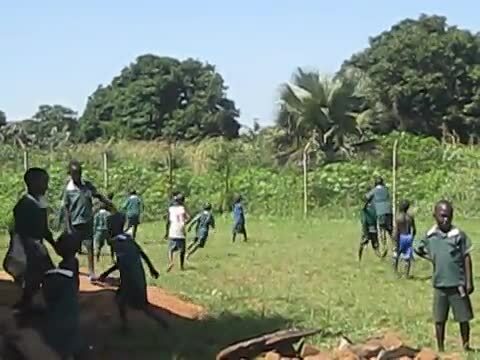 A long civil war intervened and the children and familes became refugees in Uganda. 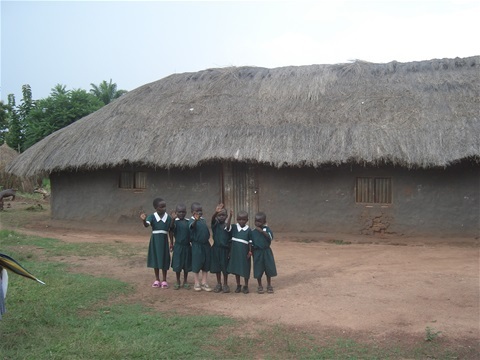 When they eventually returned to Yei nearly 20 years later with very few belongings a priority was to re open the Kindergarten. The roof was falling in and inside was dark and dreary. 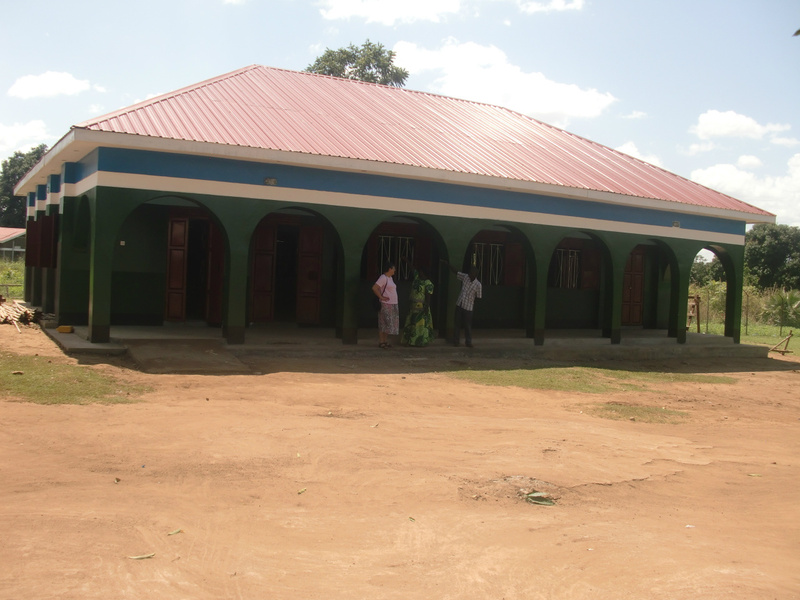 The Immanuel Kindergarten charity was founded to work in partnership with the families of Yei to build a new school . Carolyn visited the Kindergarten in November 2015 and spent time with the Kindergarten children and staff doing some informal training and identifying future needs. Carolyn attended the opening of the new Hall which is a great facility and will provide a place for the children to eat away from the hot sun or torrential rain. There are now 350 children between 3 classes which to the western eye is horrendous but the children are well taught and when they move to the local primary school at 7/8 years old they are achieving in the top 5% of the intake.